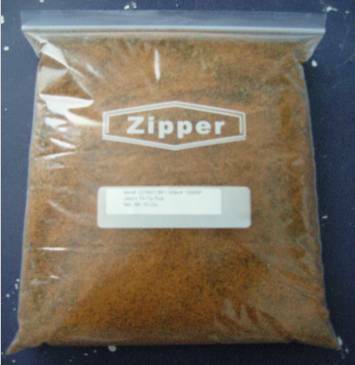 California Chicken Dry Rub Blend in convenient easy to use never run out container. This California Chicken Dry Rub 10 lb version is the perfect rub for all your Chicken, ribs and seasoned Chilean Sea Bass needs and will dramatically improve the flavor of your best recipes, Halibut, Snapper, shell fish, lobster and slow cooked fully seasoned barbecue dry rub ribs recipes. This is the 5th in our series of natural Dry Rubs for sale which is designed for action delivering direct flavor by drawing the seasonings into the moisture of the meat through a process similar to capillary action. Our Chicken Rub Spices are easy to use. The spices can deliver the same or better flavor than sauces. Our natural dry rubs for sale California Chicken dry rub compliments that natural flavors of the meat. The brown sugar and smoked salts deliver a combination of salt and sweet subtle flavors to the meat. The spices produce a wonderfully rich flavor that leaves the meat with a golden brown tint which of course is excellent for Chicken. This chicken dry rub can be sprinkled or spooned onto meat. The rub is not spicy although we do use some spice based ingredients. There is a natural smokiness that does not alter the flavor of the meat. You can achieve great results by shaking on then wrapping the meat and letting it rest in the rub for about 45 minutes to an hour. Grilling is easy just place on a grill at about 225 degrees for slow barbecuing or 275 degrees for quicker barbecue. Of course higher heat requires more consistent watching of the flame to ensure the meat doesn't burn. We recommend this Rub because it marinates meat well producing a savory flavor. It takes little to no time to do its job. It produces flavors reminiscent of Southern style natural dry rubs for sale. The rub is perfect for power basting and marinates deeply within 45 minutes to an hour. The rub can be used for marinating overnight and will not spoil the meat. In most cases the dry rub will speed up the time necessary for completed marination. Thinking about having chicken and Jake's Famous California Chicken Rub but you don't have access to a grill...no problem. Jake's Famous California Chicken Rub for chicken will work wonders in the oven. Chicken will come out nice and moist with just the right amount of caramelizing. The steps are simple and included here. Just select your chicken along with Jake's Famous California Chicken Rub. To achieve maximum flavor it's a good idea to properly address your chicken. Meaning the best chicken results are achieved when the chicken is thoroughly cleaned and prepped. After the chicken have been properly cleaned and patted dry rub the chicken generously with the dry rub and wrap with foil. Let the chicken rest in the foil for about an hour. Set your oven to 350 degrees. While the oven is reaching temperature set the chicken on the counter so that they come to room temperature. Place the chicken in foil in a metal baking pan. Cook for about two hours and remove from the oven. Open just the top of the foil and lather on your choice of Jake's Famous BBQ Sauce covering both sides. After the sauce is applied leave the chicken with the foil open. Turn the oven to 400 degrees and cook for approximately 15 minutes. The additional heat will create a caramelizing effect on the top of the chicken. Once done remove the chicken and cover allowing the chicken to rest for about 20 to 30 minutes. Keep some extra Jake's Famous BBQ Sauce on the side in a warm dish then serve and enjoy. Additional pairings of corn on the cob, and baked potatoes will really make this meal stand up.